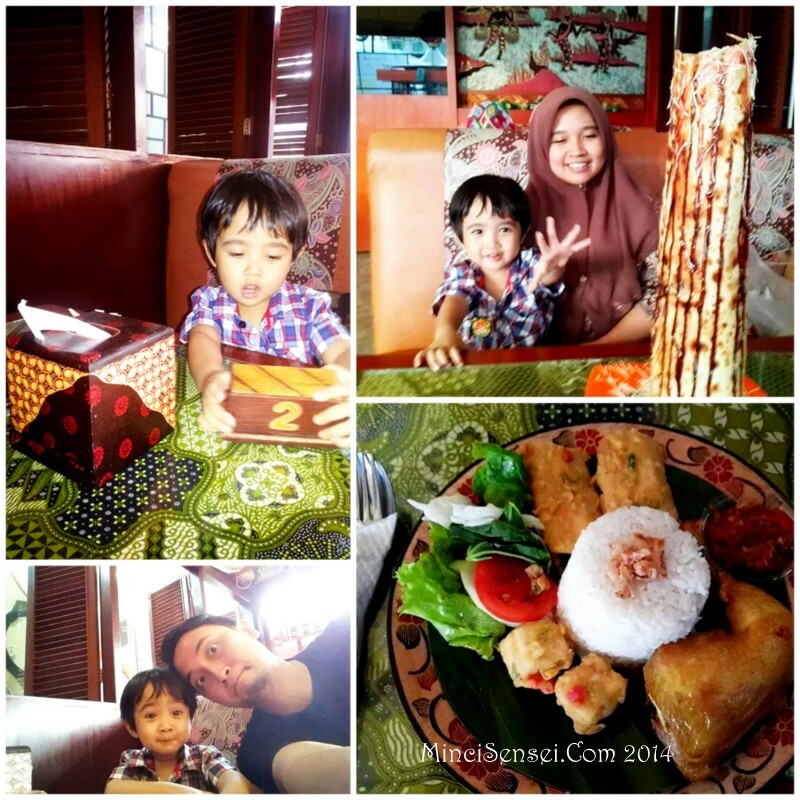 I daresay eating or makan-makan in Indonesia as a tourist is affordable and clean at most places. We are able to have our meals at decent air-conditioned restaurants with a price tag way cheaper than in Malaysia. Imagine a meal set for two in a fast food chain, TEXAS CHICKEN for instance, only costs us MYR 12. And our most hefty meal at AYAM GORENG KALASAN which included a dessert even, later amounts to only MYR 25. Alhamdulilah.. kenyang. 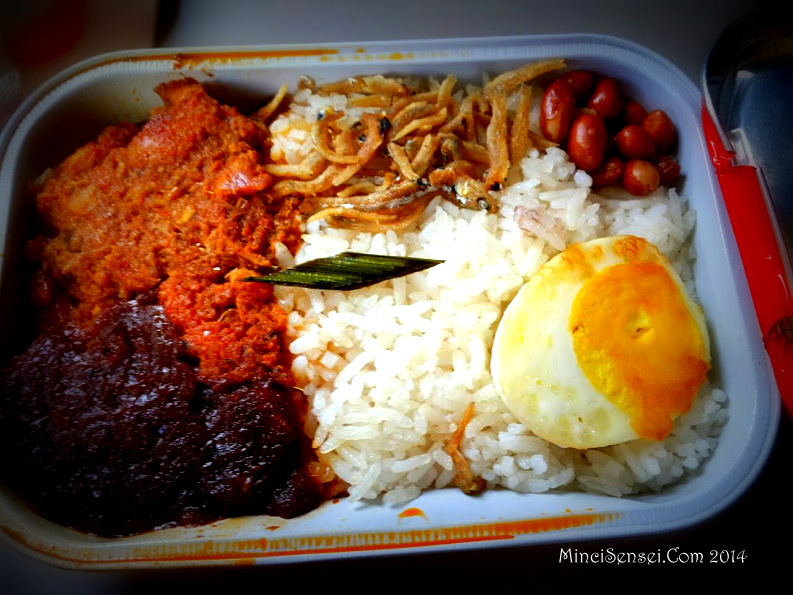 We were off to a happy start when our pre-booked meal of Nasi Padang (MYR12/meal) on the Air Asia flight proved to be delicious. Like pure chewy daging rendang on board the plane! We underestimated how quick the journey could be because as soon as we opened the aromatic, piping hot packaging.. the flight attendants were already bringing the black plastic bag around to collect the rubbish. Argh.. panik. 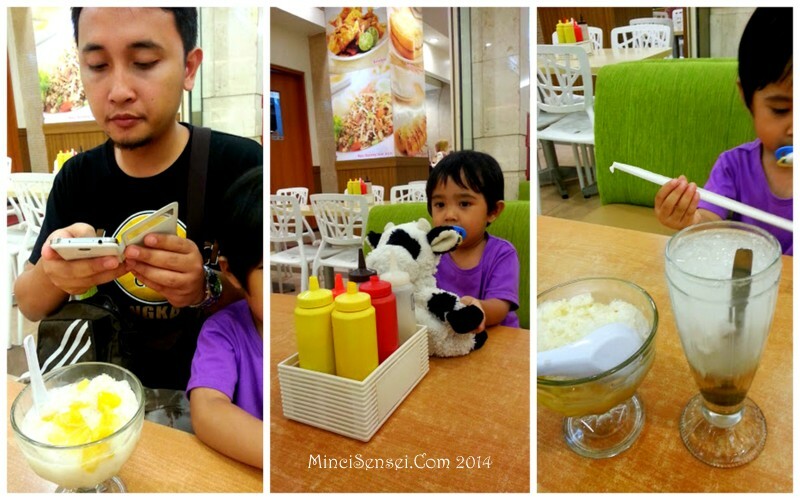 I blom makan..
Mr Husband ate, well … swallowed it all in a jiff. I chose to pack it for dinner later at the hotel. There wasn’t enough time for a quick photo too but we did have a snap of our meals during the return flight from Medan to KLIA2. This time it was Nasi Lemak Pak Naseer and Nasi Tomato with Ayam Percik. The latter dish was Hazeeq’s favourite. He kept asking for more ‘matik’ [read=nasi] throughout the flight. The percik was a bit spicy for the boy but he liked the rice anyway. And if I heard it correctly.. 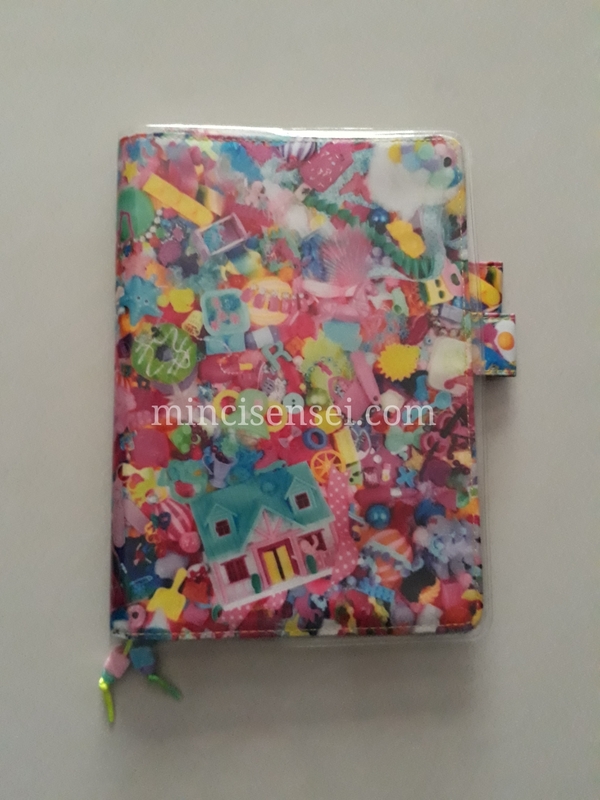 I think Air Asia is introducing a Kids Meal on board soon. This was an impromptu breakfast meal. 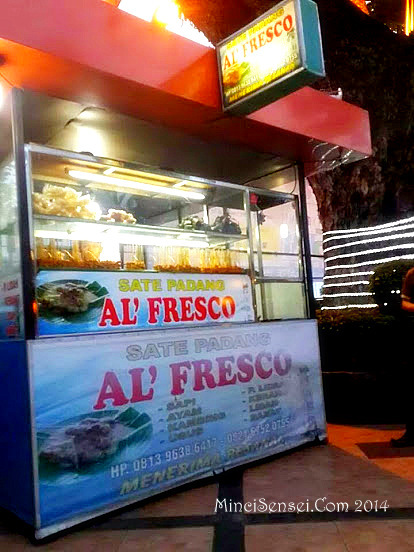 We were secretly scouting for the Halal logo from the few eateries (gerai) available within the grounds of Istana Maimun. Then, jeng jeng jeng.. we spotted one of the cooks in a hijab. So in the spirit of InsyaAllah Halal.. we ordered simple nasi goreng with jus durian belanda. Perhaps this is not a tourist-y destination, but we were willing to try anything for lunch. Especially since we don’t have a proper tour guide to consult. Plus we couldn’t find the famous Restoran Garuda most bloggers went to during their trip to Medan. Still, Jo’s Tea House was not disappointing. A very pretty lady came to take our order. Prettier than Bunga Cinta Lestari, I have to say. Mr Husband tried the Mee Udon Medan. As for myself, I went for the Rawon Setan.Which is beef broth with bits of beansprouts and an egg. For a while, i thought the Rawon looked like brewed Jamu – pretty spicy looking. Rawon was to be eaten with rice but well.. I just had rice for breakfast. Diet konon. Though I ended up nicking Hazeeqs Monte Cristo Banana Chocolate Bread. He was too busy posing for the camera in sipping the iced lemon tea. To be honest, Rumah Hijau’s Banana Chocolate Cake lagik nyaman. And this Rumah Hijau is in Kuching, Sarawak. One of our must eat places when go back Kuching. Dessert does not come any sweeter than the Es Nangka we had at this joint. Nangka is Jackfruit. It was overwhelmingly sweet thus we were glad we shared the bowl of Es (ICE). And to wash it down – another sweet coconut drink. 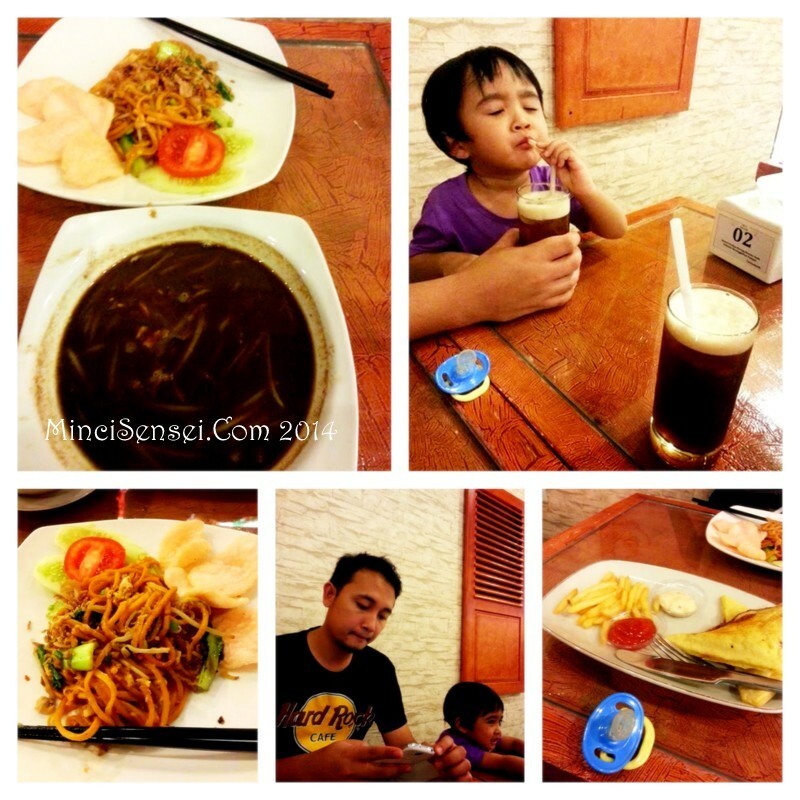 This has to be the most varied meal we had within the 3 days we spent in Medan. Mr Husband even ordered side dishes and desserts which is so unlike him. I was thrilled obviously although I worried wastage could happen with the abundance of food. When the food came, I realized pembaziran will not happen since the portion I felt was .. adequate and sesuai untk dimakan orang Asia. It can even make its way into the Smartlife programme menu if any. Hehe.. thats how proportionate it was. For heavy eaters, they’d say its a bit rugi kot. 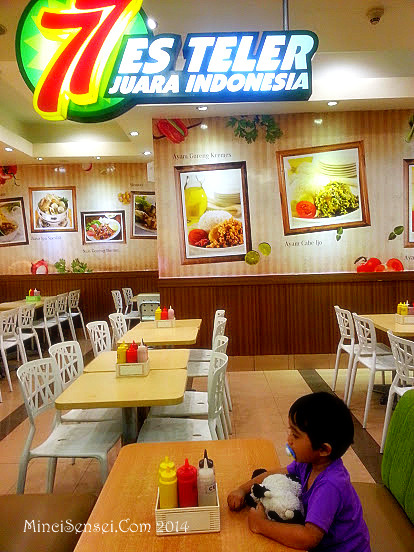 But even with the huge selection at this cafe – well, it is like a mini foodcourt anyway.. our bill was 100 497 IDR including tax. 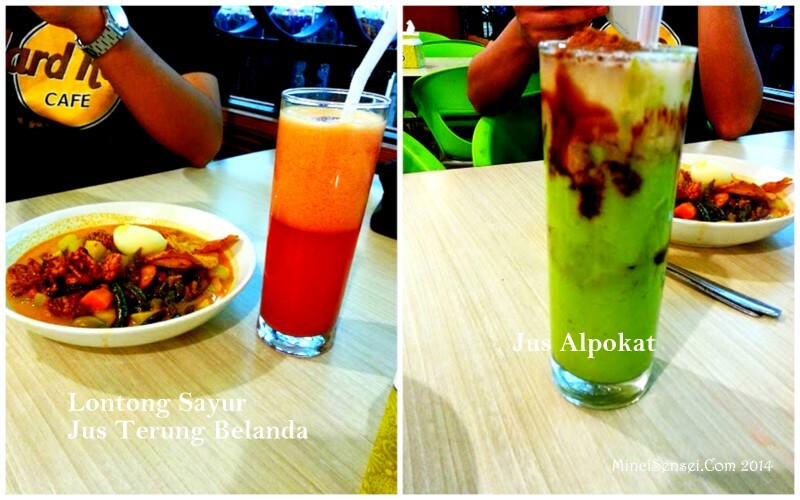 Less than MYR50 tuh..
We had the recommended juices : Alpokat and Terung Belanda. Mr Husband had Lontong Sayur. I had the Bakso. We ordered side dishes Tauhu and Tempe and boy – the tempe was surprisingly sedap. padahal digoreng jak.. And finally dessert was in the form of jelly bits in a tepung pelita-like base which they called Bubur Sum Sum. It had a gula melaka taste to it and was not overwhelmingly sweet. 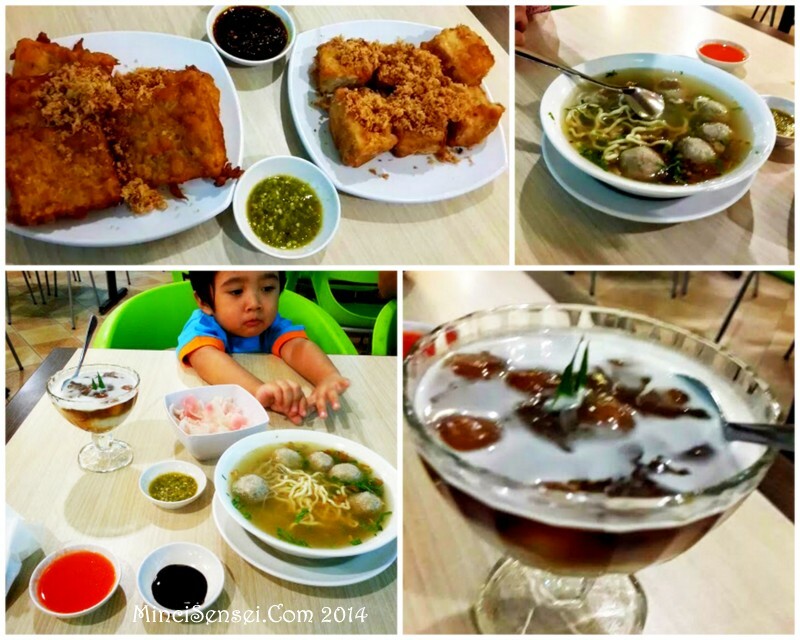 Although Shihlin has been in the Malaysian scene for quite some time, we never actually ate there until recently in Medan. 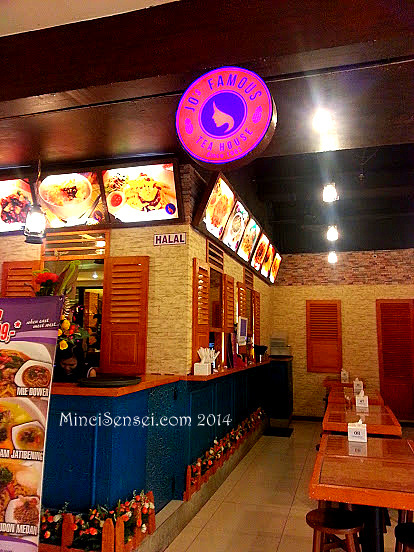 It was one of the restaurants at the plaza which has the HALAL logo pasted to its walls proudly. Hence, without hesitance.. we had Shihlin for lunch. 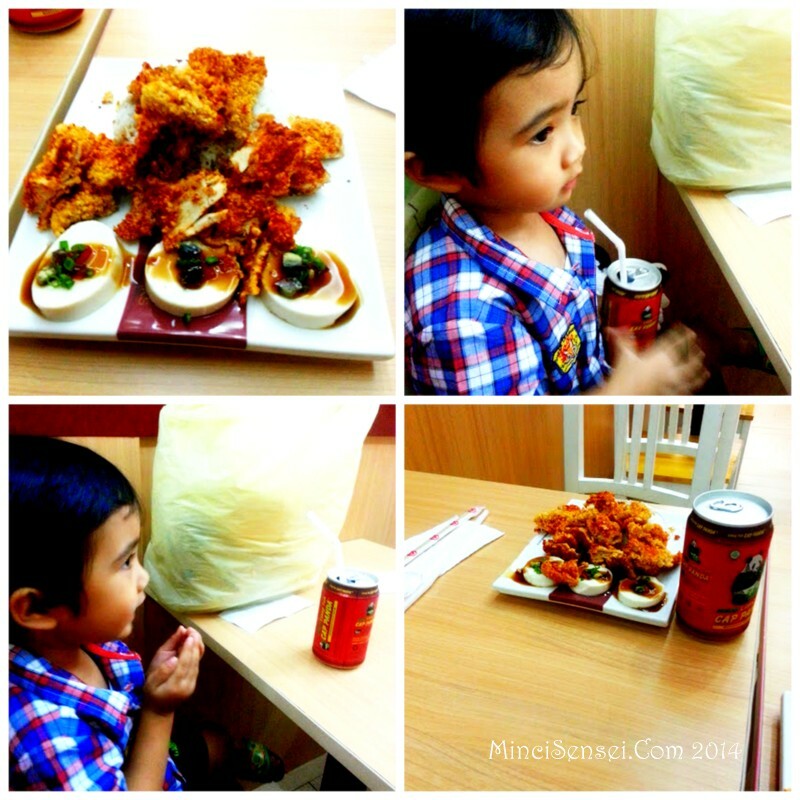 We both had the Happy Rice Box which included its special spicy chicken with pepper flakes, tofu and rice. Also a Panda tea drink which Hazeeq loved to bits! Hazeeq reciting the Doa Makan prior to his tea-drinking.. Wonderful, intricate interiors of this restaurant made us chose to eat here. 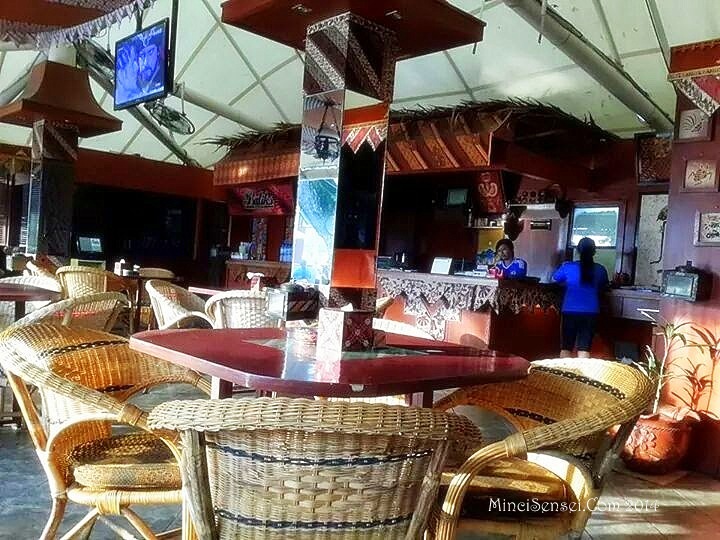 It was essentially batik deco everywhere – the wall, ceiling, table, accessories… only the attending waiters and waitresses were not in batik. They were in football jerseys instead. Weird! 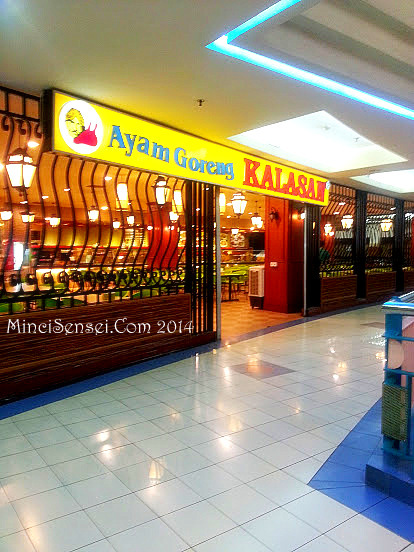 Other bloggers were recommending the nearby Nelayan for its dumplings but well.. we thought we’ll try something else. 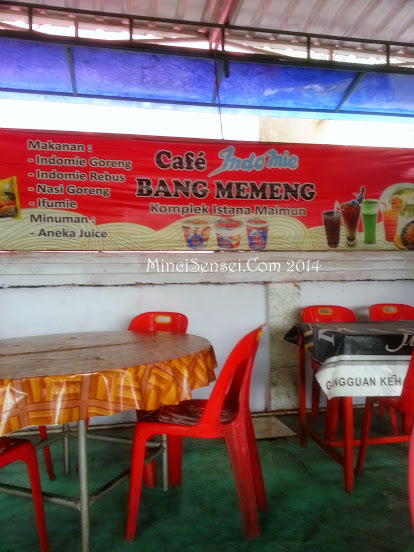 We were addicted to the terung belanda juice by then and ordered that – again! 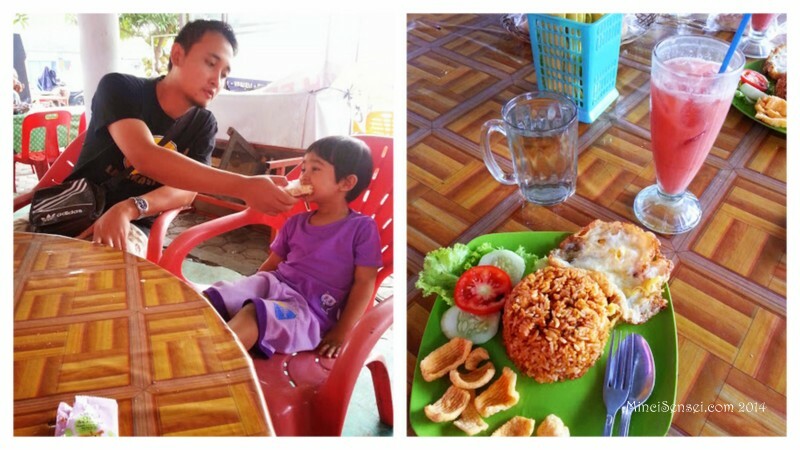 Mr Husband had his dose of Ayam Penyet and I shared with Hazeeq his Roti Merapi. The atmosphere was happening .. people were just chit-chatting and eating food food food. And just across Batiks, Mr Husband spotted a little stall selling Sate Padang. It was worth a try and bought 12 sticks of Sapi Satay (2 sets) for 40 000 IDR. 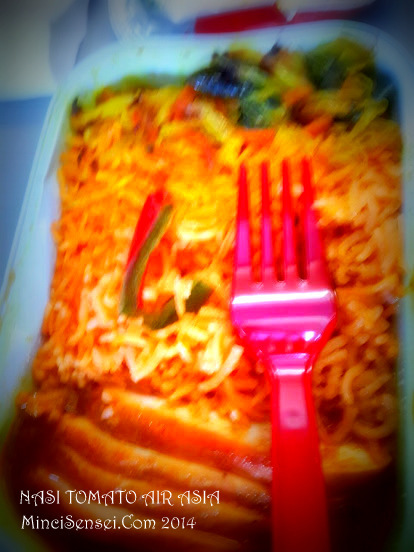 Pedas giller.. but tolerable by Sarawakian standards. 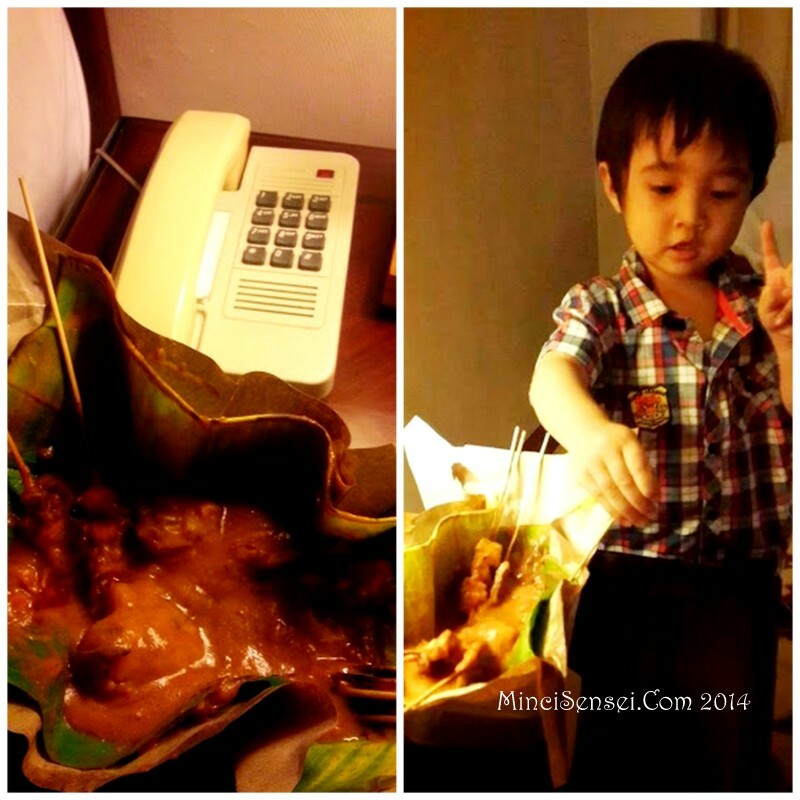 We tapau and had it in the hotel room. Eating in Medan was fun. Perhaps it is because it did not deviated much from our Malaysian cuisine pun.. Ayam Penyet pun dah sprouting like mushrooms in Malaysia and being copy-cats at its best, it wouldn’t take long for Alpokat and Terung Belanda juice to arrive at our shores too. He he..